The Fund has awarded a one-year subsidy to 26 institutions. 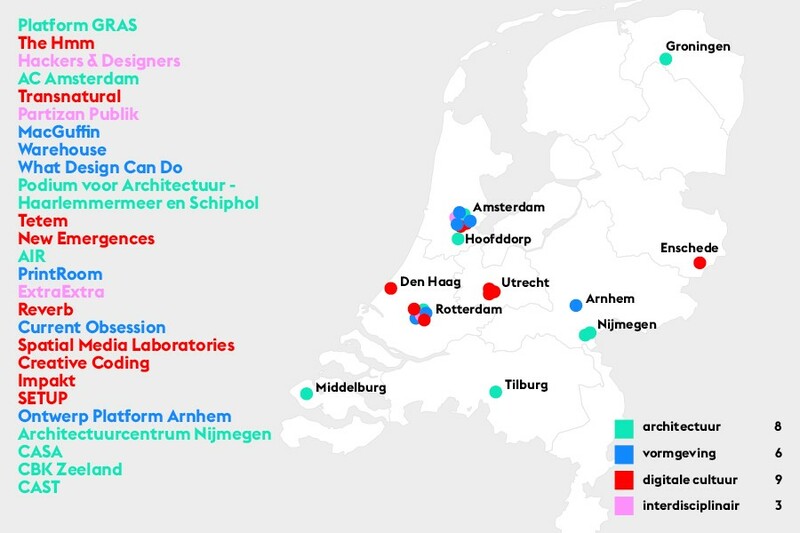 The selected institutions are important for the development and strengthening of the cultural and creative industry infrastructure in the Netherlands. The 26 institutions are together receiving more than € 1.4 million for their programming in 2019. The contributions range from € 25,000 to € 100,000 per annual programme. The Grant Programme for Activities Programmes supports programmes in the field of architecture, design or digital culture or a combination of these disciplines. Cultural institutions may apply once a year for a contribution to their programme of activities for a maximum duration of one year. The advisory committee chaired by Rutger Wolfson reached decisions concerning 46 programmes of institutions in the creative industry field. These institutions had applied for a total of more than € 2.5 million. As a result, the round was considerably over-subscribed, which meant that the committee had to make keen choices. 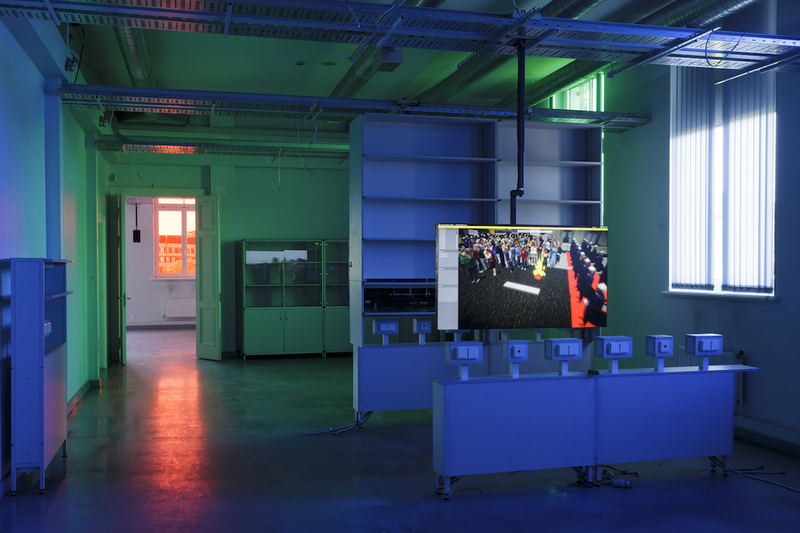 The proposals that have been awarded a grant make an active contribution to presentation, exchange of knowledge, experiment, reflection and research in the field of architecture, design or digital culture. The advisory committee particularly appreciated a strong platform function and innovative, agenda-setting programmes. In the field of digital culture nine proposals received contributions, in the field of architecture eight proposals, and six proposals in the field of design. Finally, three interdisciplinary proposals received contributions. A number of newcomers are being supported by the grant programme. These six institutions are: The Hmm, Creative Coding, New Emergences, MacGuffin, Warehouse and Spatial Media Laboratories. The committee considers it important to encourage newcomers, and calls the six new institutions within the grant programme a valuable addition to the existing practice. In the committee's view, the institutions provide new platforms and the programmes examine current issues and practices. 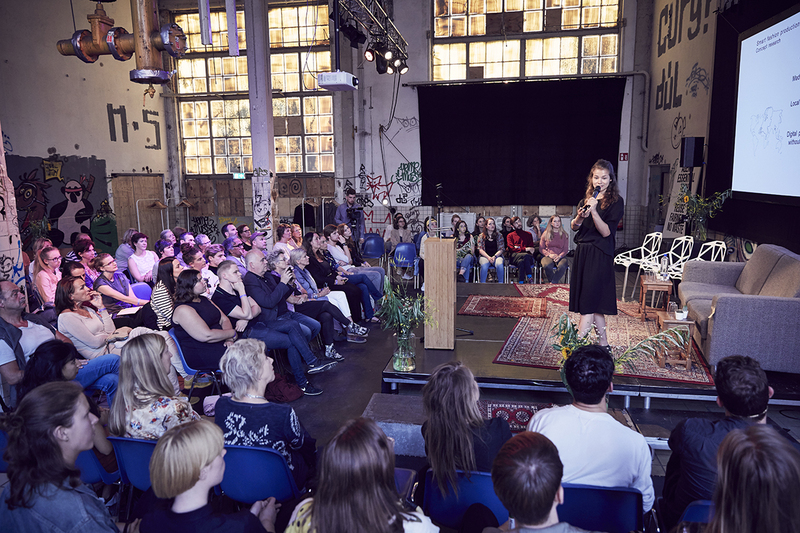 An example is the programme of the new Warehouse initiative, which focuses on alternative, critical fashion practices by developing exhibitions, debates, performances, publications and podcasts. The committee attaches great importance to diversity and inclusiveness within the programmes. The committee noted that this issue was not sufficiently addressed in this round's proposals. According to the committee, a number of the proposals receiving grants are noteworthy in the area of diversity and inclusiveness. Through its programme 'Amplifying Voices', the New Emergences platform focuses on the issue of diversity and underrepresented voices within the field of electronic music and sound art. Programme components in the proposal by Hackers & Designers are also interesting, such as the Feminist Intersectional Search, set up in collaboration with Read-in, Openbare bibliotheek Amsterdam and Atria Knowledge Institute on gender equality and women's history, about the dominant Western mindset in search results. In the coming year's programme, PrintRoom will focus on non-Western practices, among other matters. According to the platform, artists' publishing is currently still a dominant Western system, despite the growing participation and radically innovative contributions of non-Western makers. Artists' book fairs and specialized shops/project spaces still exist mainly in Western Europe and North America, although important players are active in Asia and South America. How can the perspective of the field become broader and more inclusive and can we learn from the Do-It-Yourself production and presentation forms of non-Western artistic 'publishers'? You can find more information about the content of the specific programmes per institution here (in Dutch only). The closing date for the Activities Programmes in 2019 is 9 October. The total available budget for 2019 is € 1,450,000.